The term pathogen generally means that the organism in question can cause disease in a host. The degree of damage that is caused by the pathogen is referred to as the pathogen’s virulence. 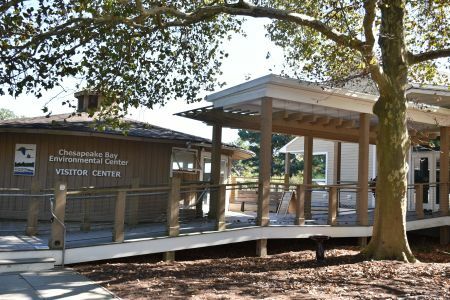 Of the various organisms that you’ll learn about on this tour, only two are generally considered pathogens, the bacterium Vibrio vulnificus (Station 8), and the subject of this station, the Sycamore Lace Bug, a “true bug” of the order Hemiptera. Only a tiny fraction of viruses and small organisms (bacteria, protozoa, insects, etc.) are considered pathogens. The vast majority of small organisms are not associated with plant or animal diseases, and many are beneficial to their host. Sycamore Lace Bugs belong to the family Tingidae, a group of insects commonly called “lace bugs”, because the insect’s pronotum and fore wings have a lacy appearance. Lace bugs are considered host-specific, because they are adapted to live in a very specific environmental niche, i.e. their host. 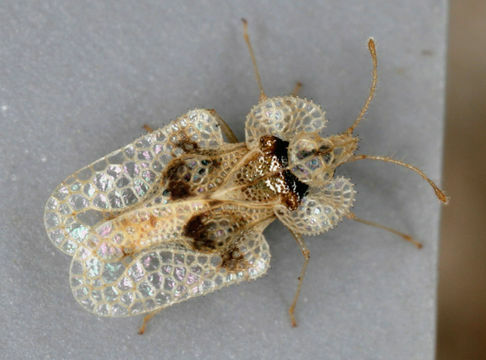 Although the Sycamore Lace Bug may live on other species of the Sycamore genus (Platanus), the main host is the American Sycamore (Platanus occidentalis). The insect is native to North America, but has spread to Europe and Asia, since the 1960s. Sycamore Lace Bugs are considered to be parasites of sycamore trees. Parasites are organisms that derive their nutrients from their host, at the host’s expense. Successful parasites are thought to be those that can live in this manner, without killing their host. Sycamore Lace Bugs do not typically kill their host tree, although the host sycamore may die if, in addition to a lace bug infestation, it also suffers from other stress factors (repeated dry years, etc. ).